Arizona Senate President Andy Biggs has made a lot of noise about the ethics of his campaign. In the weeks since Matt Salmon announced his anointment of Biggs upon vacating his seat in the U.S. House, Biggs has claimed that he is being extremely careful in his fundraising so that no ethical questions can arise over possible conflicts with his current position as Senate President. 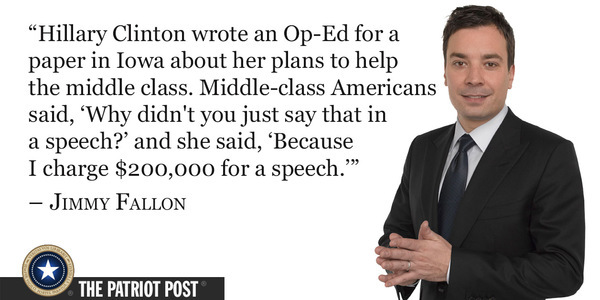 But that’s a pretty weak excuse for the low numbers that his campaign is posting. With only $200,000 raised so far (according to Yellow Sheets), $100,000 of which he loaned his campaign from his personal funds, Biggs is clearly struggling to find supporters to fund what will be an expensive and hotly contested campaign. Some disagree that the number is low, given the short amount of time–a little over a month–since Biggs announced his campaign. But, if we look at the breakdown of those funds, he can only claim $100,000 from outside funds, since he gave the other half to himself. A source close to Biggs claims that this may not be the last of the cash Biggs loans himself, meaning that the Senate President doesn’t plan on increasing his fundraising efforts any time soon. How long until his money runs out? Currently he’s self-funding 50% of his campaign with plans to keep bleeding his accounts over the coming weeks. Regardless of his personal wealth, achieved by winning a sweepstakes contest, that’s unsustainable. Furthermore, it might be a bad move to brag about the amount of money he is willing to spend to buy the race from money he did not earn. If Biggs continues to lack support from grassroots donors in the state of Arizona, he may have to continue to self-fund. While it is admirable that Biggs’ message is that he wants to keep clean from donor influence, it seems less like the truth and more like a desperate attempt to save face under the light of such small fundraising success. If he’s really concerned about being connected with outside interests, why not push funding from more private citizens? If ethics is his aim, why not take a pledge to not take money from lobbyists at all? Arizona Governor Doug Ducey has a proposal to put an additional $2 billion into Arizona schools and it has found widespread support across party lines. Here’s your chance to nominate (or brag on) the most interesting liberals and conservatives in Arizona. Think about the individuals you would like to have dinner with and would be most entertained by. These individuals could be policy wonks, public relations pros, political consultants, members of the media or elected officials. (SCOTTSDALE, Ariz.) Following in his father’s footsteps as a conservative trailblazer in Arizona, Barry Goldwater Jr. is standing up to utility monopolies to preserve Arizona’s rooftop solar industry. 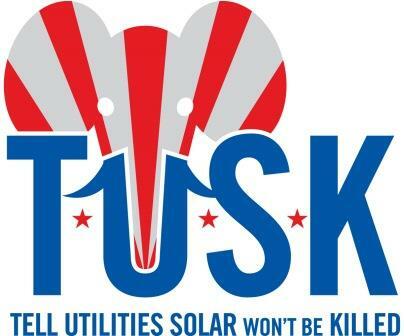 The voice of T.U.S.K (Tell Utilities Solar won’t be Killed), Goldwater can now be heard valley-wide in a new radio commercial that urges energy consumers to stand up to Arizona Public Service (APS). Goldwater and T.U.S.K oppose efforts by APS to extinguish rooftop solar in Arizona by trying to eliminate a cornerstone policy called net metering. Net metering ensures that customers with rooftop solar get fair market credit from APS for any extra power they return to the grid. Conservatives in Arizona have stood up for school choice and healthcare choice, and now they are standing up for energy choice. If APS pulls the plug on net metering, thousands of jobs would be lost. Businesses would suffer. Schools that utilize net metering will be sending more tax dollars to APS. Consumers would pay more. Barry Goldwater Jr. served 14 years in Washington and amassed expertise in energy, the space program, aviation and defense and government procurement. Goldwater was particularly instrumental in all facets of energy policy and research and development, including authoring the Solar Photovoltaic Act. T.U.S.K. believes that rooftop solar is similar to a charter school—it provides a competitive alternative to the monopoly. Monopoly utilities aren’t known for reducing costs or for driving business innovation, but the Arizona solar industry is. Solar companies have a track record of aggressive cost reduction in Arizona. The more people use rooftop solar, the less power they need to buy from the utilities. Energy independence for Arizonans means smaller profits for the utilities, so APS is doing everything it can to stop solar.